Singing on top of your lungs in the shower while youtube is playing on your TV, or music playing on your stereo? or running out of the shower to get that important phone call? No need to leave your bathroom door open or rush out of shower all wet to get to your phone, or even bringing your phone with you every time you shower, as there is a new invention that could play your favorite tunes and could enable you to answer your phone while in the shower without all the hassle. 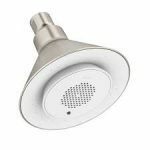 We have listed ten new types of wireless Bluetooth music speaker showerheads you could choose from to liven your everyday shower. 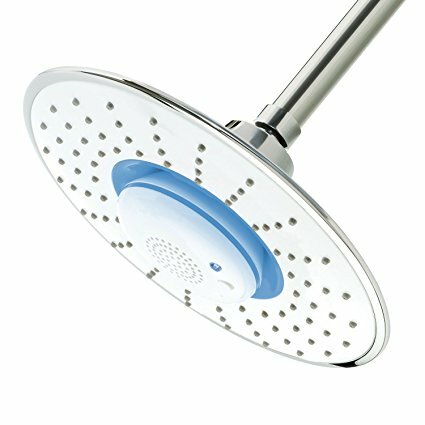 Regular showerhead? Not! this showerhead provides music from a new Bluetooth technology through your device called MusicJet app. 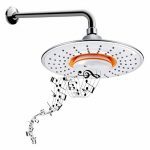 Any device such as MP3 players, tablets, smartphones and/or laptops could transfer the task of playing music on your showerheads. If you think that is cool, wait until you hear that this device also allows you to talk to your friends or make business calls while showering. Yes, that is right talking on the phone while showering without the fear of wetting your phone. Want to party in the shower? Kohler Bluetooth Wireless Oil-Rubbed Bronzed showerhead definitely could make this come true as it could play your playlist from up to thirty-two feet away. Not only that, this showerhead is an environmental friendly as it is a water saving device. Imagine dancing and showering under the rain? This showerhead would be perfect for you. The feeling of rain and music flowing through this showerhead is just one of the most calming spa-like feeling one could experience. Aside from that, this showerhead has spraying power three times more than the normal showerhead. 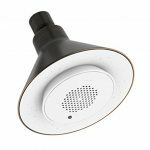 H2oVibe Wireless Bluetooth Speaker Rain Jet Showerhead is another powerful rain-like shower with easy installation Bluetooth wireless that gives a high quality sound up to 33 feet away. It also has noise reduction with speak button built in. Recommended and perfect for answering calls. YOO.MEE’s newly and improved product, portable outdoor bluetooth wireless speaker rain showerhead has been upgraded for a spa like- experience. This speaker showerhead features volume control and song change which is within reach while you relax in the shower. Also it has an ultra-noise reduction which is a definite plus for calls and of course the most beautiful feature that this speaker has is that it could be brought wherever you go as it features and offers a portable silicone holder. This one is definitely for those who loves to travel. Famous YOO.MEE’s Bluetooth wireless music jet speaker rain showerhead is furnished as a waterproof wireless speaker with12 to 15 hours constant playing – battery life. This speaker could be played and heard up to 33 feet. It has an easy installation and rechargeable battery and like the other Bluetooth showerheads, this one has a speaker button too for any of your important phone calls. 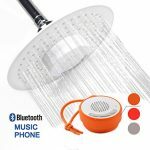 Music, powerful shower flow and relaxed feeling are what the spa living Bluetooth wireless speaker rain showerhead offers. This device provides an overall spa-like experience where comfortability and ease are at arm’s reach as this showerhead permits you to answer phone calls, change volume and change songs. Just like the YOO.MEE model, Portable outdoor Bluetooth wireless speaker rain showerhead, this model also offers the silicone holder which allows you to bring it anywhere you go. Looking for something durable that could last more than a year or two? This is definitely what BM Shower Bluetooth offers. 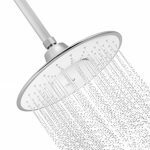 A showerhead that not only has music, phone call features and a maximum of 33 feet phone linkage, this model also ensures that you get your money’s worth as it is proven to be a long-lasting and sturdy product. 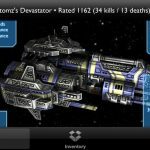 you to answer phone calls, sing favorite songs which could be used with a smartphone, tablet, computer or the like while you relax in your shower. 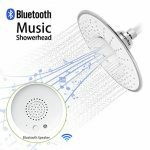 Wireless, Bluetooth 3.0, waterproof speaker that could last 8 to 10 hours of music or talk with built in mic and noise reduction, what else could you ask for from Bidet4me Msh-10 Music showerhead? Yes, fortunately the list does not stop there. This showerhead is also a water saving technology that provides up to 30% water and lastly, it is very easy to install that anyone could finish installing it within 10 minutes. Music lovers and business people would definitely love this new invention. An invention that would relax you with your choice of music at the same time very convenient that you could answer your calls even when you are showering. 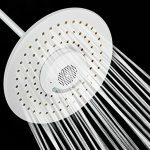 With all ten types of showerheads, we are sure you could find something that would suit your wants and needs. We urge you to start investing in one of these products for a relaxing music and massaging flows that would make your shower exciting and relaxing. 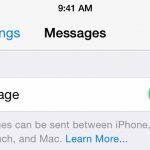 Why Am I not Receiving iMessages?